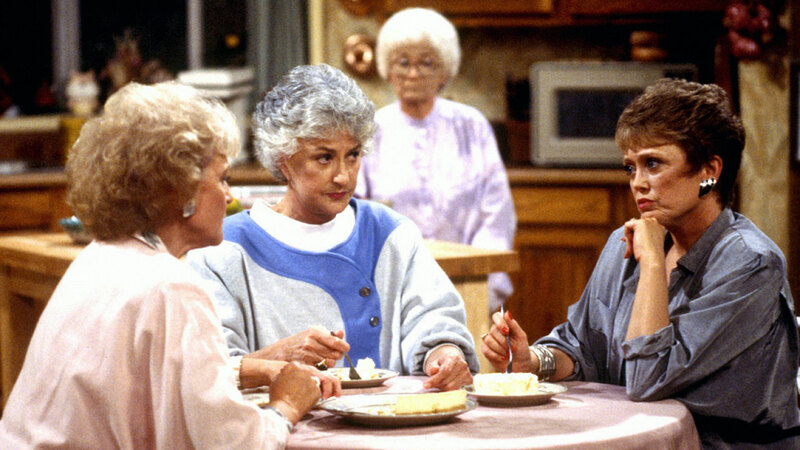 The Golden Girls ladies and cheesecake seem to go hand in hand, don't they? Episode after episode, we've watched the women gab and gossip over of a slice of cheesecake, but we've never actually known: What exactly is in that cheesecake, Blanche? Well, today, we got the answer. Not only did Disney publication Babble share the cheesecake recipe we've been dying to make since the show aired in the '80s, but they also made a huge announcement: a Golden Girls cookbook is coming! Details are sparse, but we do know the author is Chris Styler — the author of The Desperate Housewives Cookbook released way back in 2006 (so you know it's got to be good). And we also know the cookbook should be published sometime in 2020 by Kingswell, an imprint of Disney Publishing. Aside from plenty of cheesecake recipes (we can only hope there's more than one! ), what else will we see in the cookbook? Will we get a cheese ball recipe? Or a Genurkenflurken cake recipe? How about lasagna as a tribute to all the Italian food Sophia cooks? Oh, wait, we've got it! An ice cream sundae recipe! Guess we'll have to wait ever so patiently until the cookbook releases. Until then, we'll just be over here picking up all the ingredients we need to make this double fudge chocolate cheesecake, and you're all invited over.